Sitting a little higher in the Palm Springs range is a cantilever umbrella that can promise even more shade a standard garden parasol. Sitting a little higher in the Palm Springs range is a cantilever umbrella that can promise even more shade a standard garden parasol. That means greater comfort for those hot days at the height of summer – or when rain threatens to intrude on a delicious barbeque! The offset cantilever design gives you an overhanging umbrella that provides superb coverage. 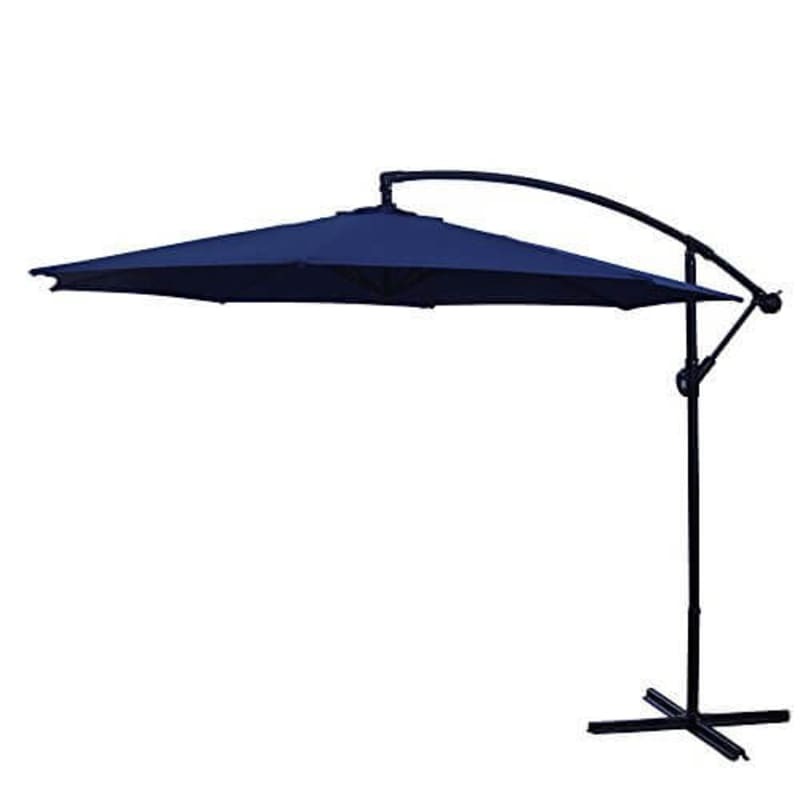 There is no intrusive pole in the middle of the umbrella to take up your valuable space beneath the canopy. An adjustable crank handle will give you the control to make small changes to find the optimum level of shade. Wind vents in the canopy will also help to regulate temperature by letting hot hair escape through the top of the umbrella. These vents also increase the parasol’s ability to deal with unexpected gusts of wind by allowing it them to pass through more easily. A solid steel frame has been constructed to provide stability, which is further boosted by eight steel ribs. The durable polyester cover then offers UV and water resistance to underline the superior protection offered by this cantilever umbrella. Notes: Base support is not included and must be bought separately. 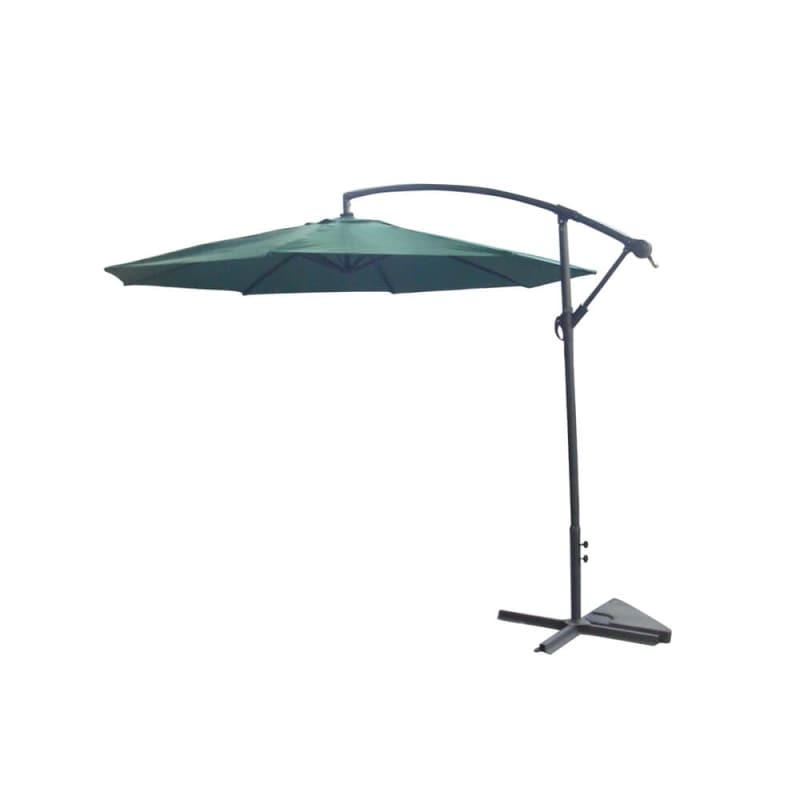 A parasol base for 48mm poles and weight of more than 15kg is recommended to ensure maximum stability for your garden umbrella. You should not leave the umbrella unattended overnight or in bad weather.